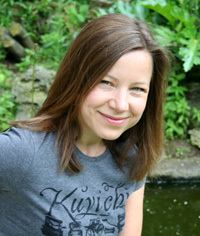 Sarah’s style of cooking really appeals to me as it focuses on using natural, whole food ingredients. This is the kind of food that my family loves to eat and we thrive on it. After eating meals like this, I always feel highly energised and great ‘on the inside’. I tend to make all our meals from scratch, so I’m always on the look out for simple, whole food recipes that are easy to throw together. 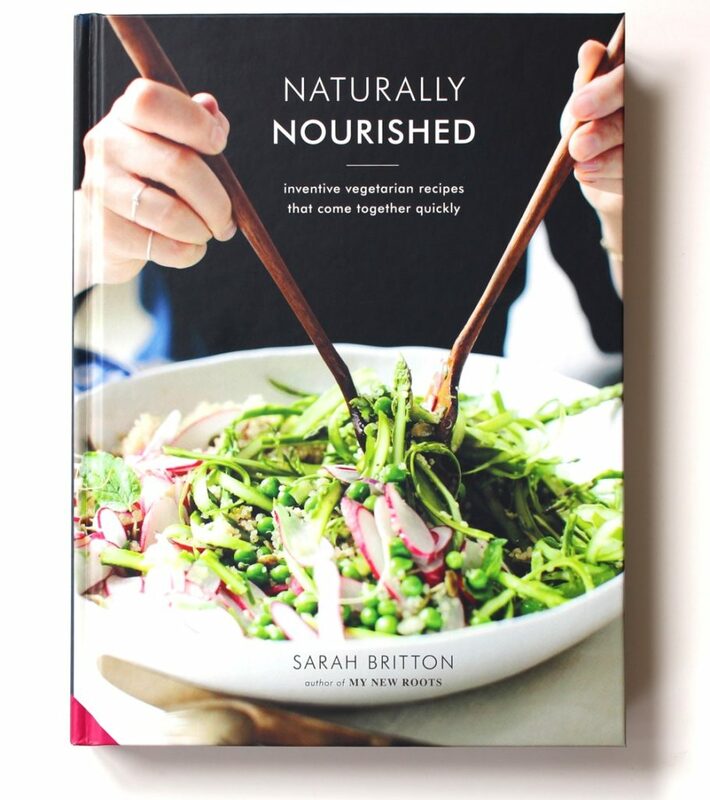 I was lucky enough to be sent a copy of Sarah’s Naturally Nourished direct from the publishers and I’ve already made a bunch of recipes from it, with plenty more bookmarked. 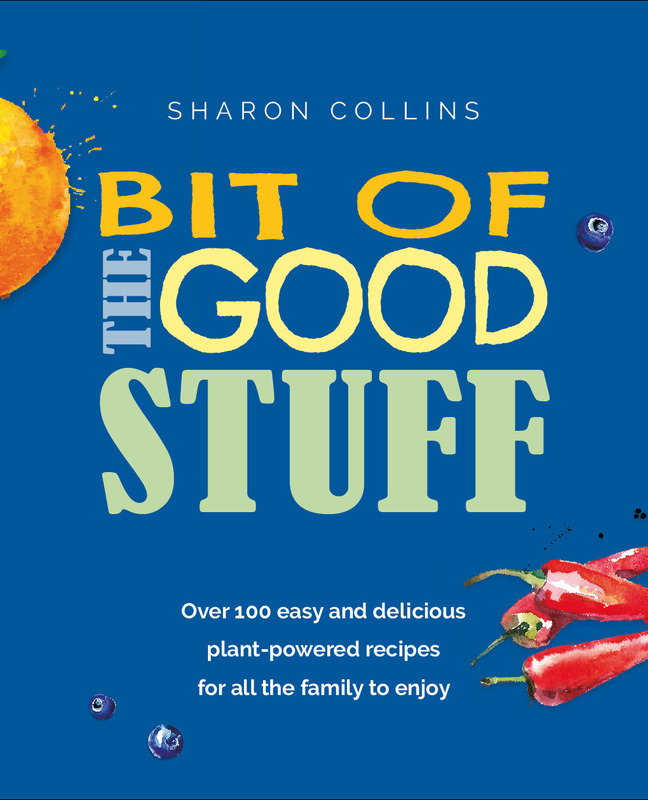 The book is divided into five recipe chapters – Satisfying Soups – Sumptuous Salads – Nourishing Mains – Simple Sides and Small Plates – Savoury and Sweet Snacks. 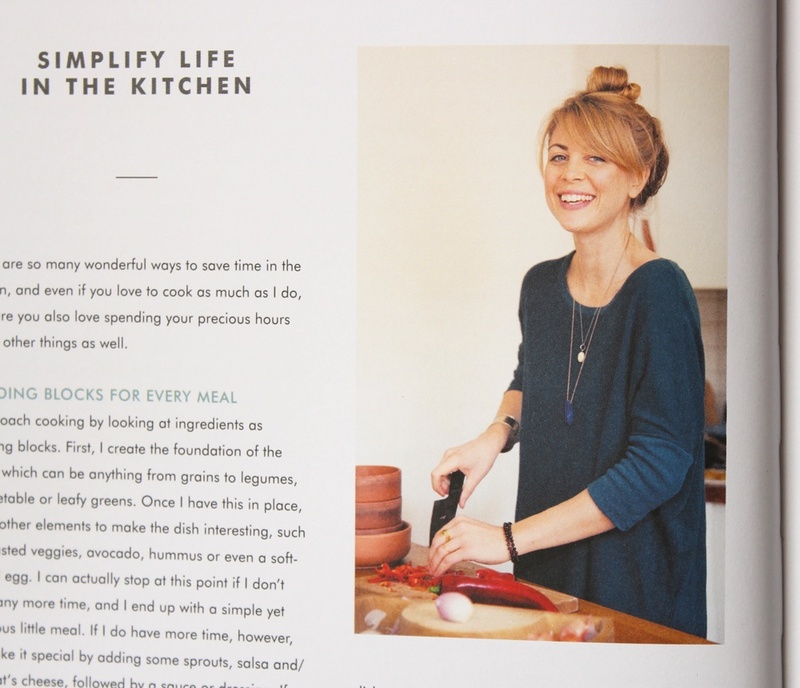 There’s also a really handy chapter called ‘Simplify Life in the Kitchen’ with tips on how to save time in the kitchen as well as how to use ingredients as building blocks to create simple, delicious meals. 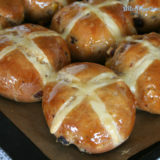 The recipes are accompanied by full colour photographs taken by Sarah, which I find really helpful. 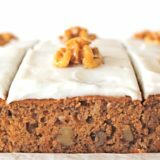 It’s the photos that usually entice me to try a recipe, plus they make a handy guide for how to plate up the dish and serve it. 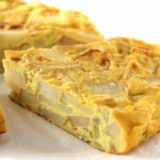 The recipe instructions are numbered and easy to follow, and the ingredients are given in grams and ounces. The one thing I would have loved to have seen in the book, is the timings – how long the recipe takes to prepare and how long until it’s ready to serve. This is so handy for meal planning, especially on weeknights. In its absence, each time I make a recipe, I’m making a note of the timings for future reference. 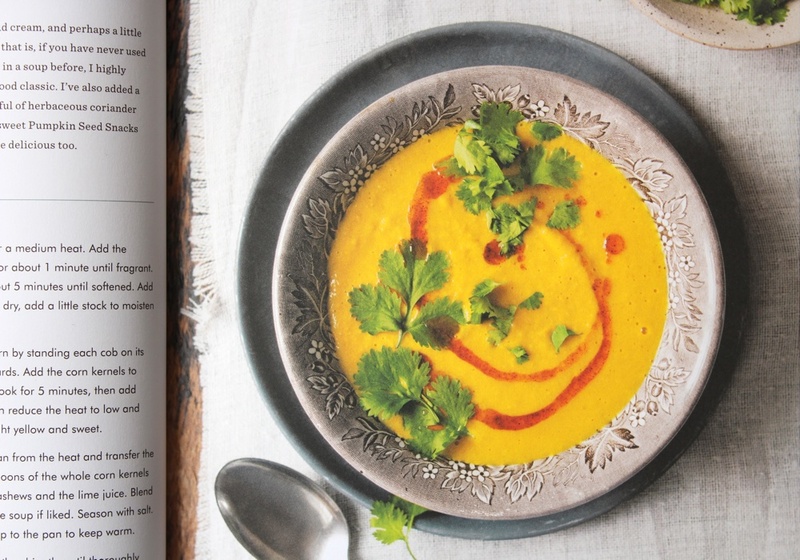 Of all the recipe chapters, my favourite has to be Satisfying Soups. I’ve made three so far, and all have been a big hit with the family. The Chill-Out Cucumber and Avocado Soup with Mint and Dukkah has been perfect for serving as a cooling supper during our recent heatwave (the UK’s just experienced the hottest June since 1976!) This soup was extremely cooling and refreshing, yet creamy and filling too, thanks to the avocado. I’ve also made the Broccoli Basil Broth with Noodles and Cashew Corn Chowder. 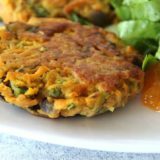 We’ve been serving them as weeknight suppers and weekend lunches, plus I’ve been enjoying the leftovers for my weekday lunch. We love them both and, in fact, Lucien did state that the Cashew Corn Chowder might possibly be the best soup he’s ever had. Now there’s an accolade! 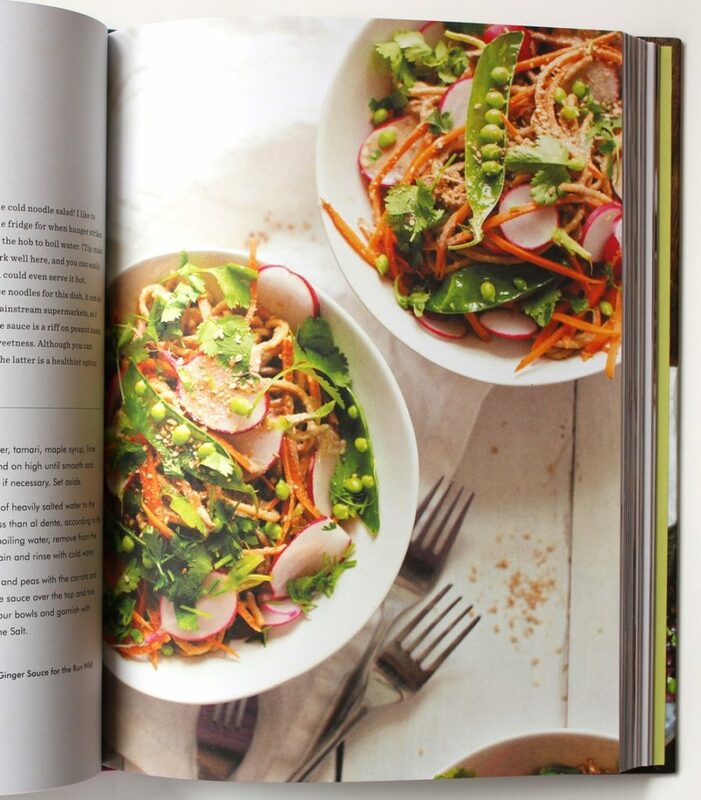 We’ve tried one recipe from the Mains section so far, and this was the Cool It Noodle Salad with Radishes and Peas. This was another dish that was just perfect for serving this week as the heatwave returned (BTW I’m loving all this sunshine and bright weather… it’s so unusual for Bath!) The salad uses fresh peas, which are in season right now. I haven’t had fresh peas in so long and I’d forgotten just how tasty they are. For the noodles, we used wholemeal spaghetti which worked really well. The dressing is tahini-based, so includes lots of heart-healthy fats and minerals. We really enjoyed this salad, so I’ll definitely be making it again. For the recipes I’ve tried so far, I’ve pretty much followed Sarah’s instructions to the letter. The only exceptions were (1) I didn’t pre-soak the cashews for the Cashew Corn Chowder (instead, I boiled them with the sweetcorn to soften them before blending) and (2) I generally used less salt than the recipes called for. I don’t tend to use much salt in my cooking, so I found the quantities a touch too high for my family’s taste buds. Sarah mentioned in the ‘Seasoning with Salt’ section at the beginning of the book that her recipes tend to be less salty than what most people are used to, so perhaps my family are exceptionally low salt users? Anyway, that was a minor change I made and, as Sarah says, we can salt food to suit our preferences. 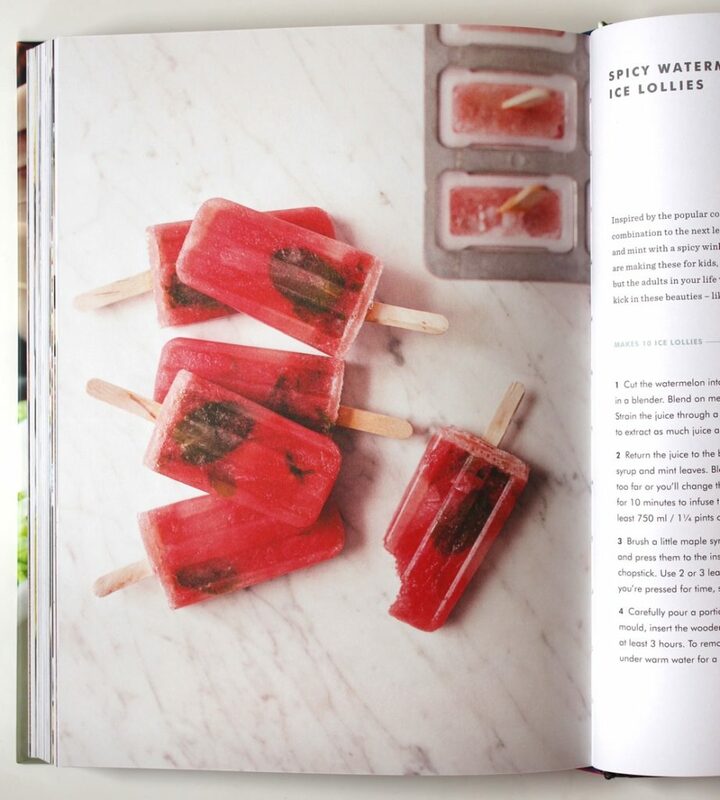 The recipes I have bookmarked to try next are the Simple Mint Pea Dip and the Spicy Watermelon Mojito Ice Lollies from the Snacks chapter. Both sound cool and refreshing, so perfect for this season. 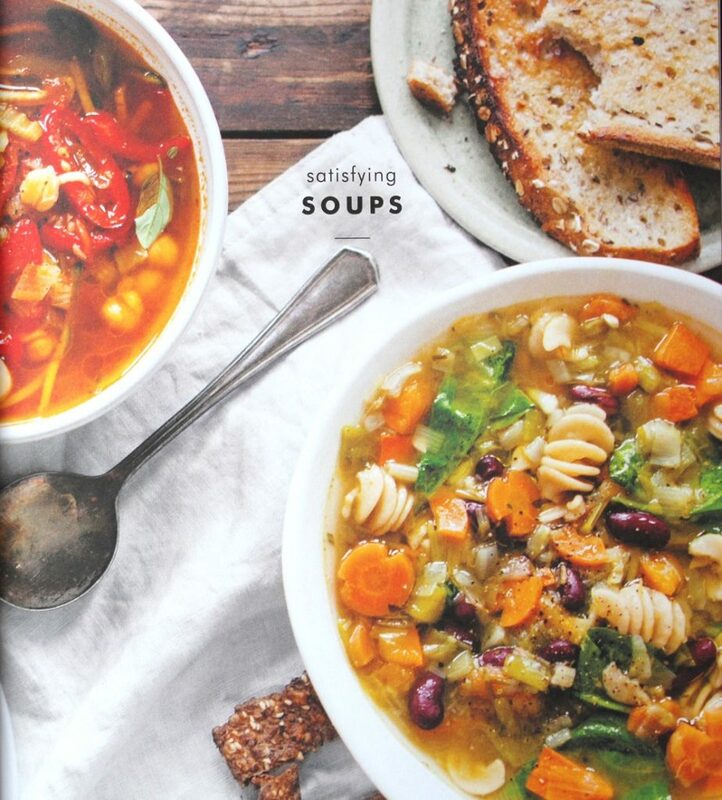 I didn’t bother bookmarking any more recipes from the Soups chapter as I want to work my way through them all. They all look so good! 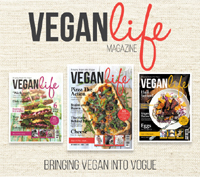 Fortunately they’re vegan bar one. The non-vegan soup contains yogurt which I’m sure can easily be substituted with soya or coconut yogurt (I’ll report back, once I’ve tried it). It was difficult to choose just one recipe to share in this post but, after some deliberation, I’ve chosen the Broccoli Basil Broth with Noodles for the simple reason that any dish that encourages kids to eat more broccoli is a winner in my book! 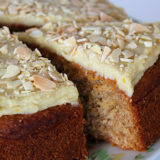 Sarah mentions in the introduction that this recipe was a hit with her toddler son, and Lucien loves it too. Cruciferous vegetables are fantastic health promoters, so it’s always a great feeling to see kids enthusiastically tucking into them. Very lightly adapted from Naturally Nourished by Sarah Britton. This soup is perfect for serving as a weeknight supper or weekend lunch. The addition of noodles makes it filling and satisfying. 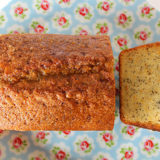 It’s simple to make and super nourishing. Sarah says: “If you’re a parent, you’ll understand the feeling of relief, accomplishment and utter joy when your child eats something healthy. Although broccoli and basil don’t seem like the most likely of pals, when my discriminating one-and-a-half-year-old son hoovers the combo, I am not going to argue. The secret to making broccoli taste great is not to overcook it, which brings out its sulphuric compounds. My method only allows the broccoli to bathe in hot stock for five minutes before a big blend-up, instead of building to death”. *I add the stalks as well (thinly sliced). 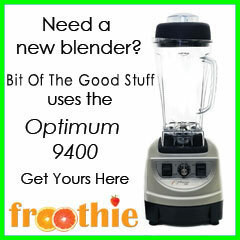 If you have a power blender, it should make light work of them (I use my Froothie Optimum 9400). 1. Fill a medium saucepan with water and bring to the boil. Add 1 TBSP of the salt to the pasta (I personally use less) and cook until al dente, according to the packet instructions. Drain and cover to keep warm. 2. If using whole garlic cloves, finely chop them (no need to be too precise since you’ll be blending everything). 3. In a large stockpot or pan, melt the coconut oil over medium heat. Add the onions and remaining teaspoon of salt (I personally omit the salt) and stir to coat. Cook for 5-10 minutes, stirring occasionally, until the onions soften and begin to slightly caramelise. Add the garlic and cook for about 2 minutes until fragrant. 4. Add the stock, bring to the boil and reduce the heat to low. Add the broccoli, remove the pot from the heat and leave to stand for 5 minutes. 5. Transfer the soup to a blender and blend on high until smooth (you may need to do this in two batches depending on the size of your blender jug). Add the lime juice, maple syrup, ginger and basil leaves. Blend on high until incorporated. Season with salt. 6. Portion the soup into four bowls. Arrange the noodles on top. Garnish with basil leaves and a drizzle of olive oil (if desired). Sprinkle with sesame salt, if liked, and serve. 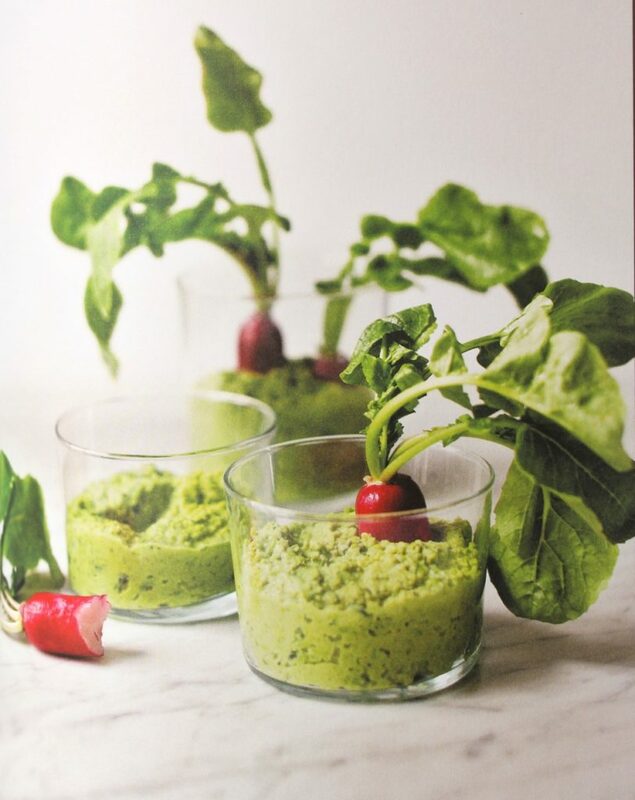 – If you don’t have fresh basil on hand, you can use basil pesto instead. 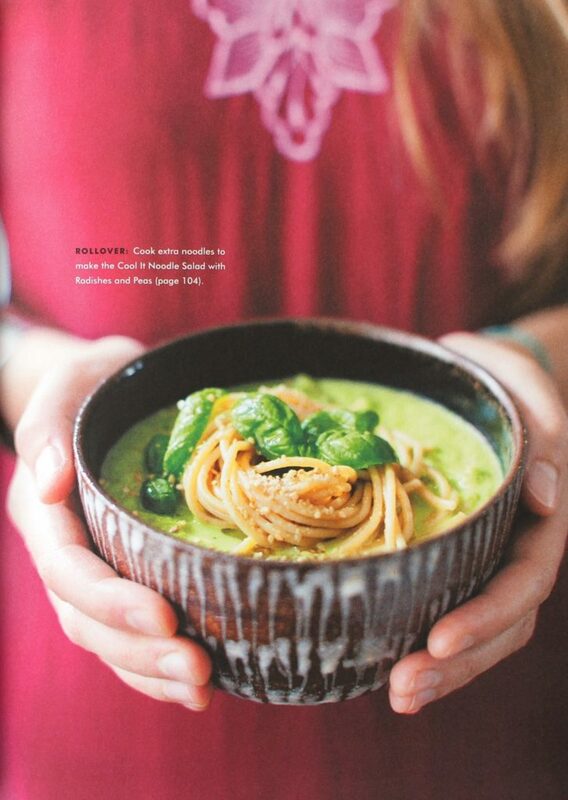 – Sometimes I lightly the coat the noodles in pesto to give them extra flavour. Please note: All images in this post are taken from Naturally Nourished (Copyright © 2017 Sarah Britton). 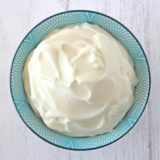 This looks absolutely delicious.. have to try it! Yes, you definitely should try it! It’s makes such a delicious, nourishing supper. I find it especially good for the warm weather months!